I've been following Ella on Instagram and her blog for quite some time, so when I saw that she and her fiancé Matthew (Matthew + Ella = Mae) were opening up The Mae Deli in Marylebone, I couldn't wait to try it out during my next trip to London. And luckily for me, they had just been open for a few days when my friend and I went there for lunch on Monday. Ella's food philosophy is also how I like my food: "nourishing, natural food done in the most delicious way." Every time I saw one of her food pics on Instagram, I thought "ohh I wanna try that! ", so I couldn't wait to actually go try all that deliciousness at The Mae Deli. To my surprise, The Mae Deli is located really close to where I lived during my last year in London. I always loved walking through Seymour street because it's full of charming little restaurants, cafés and shops. And I think the deli makes a great addition to this neighbourhood, with its sweet little blue façade! My friend and I got there around lunch time on Monday and the place was pretty packed. Honestly, it was all a bit chaotic, with a lot of staff (too much maybe?) and even more clients. The staff was really accommodating though and tried to explain the concept to everyone. For lunch, there are four options: mini mae (2 cold salads), hot mae (3 hot dishes), mae bowl (4 cold salads) or mixed mae (any 4 dishes). I thought this was a little confusing and I'd just prefer it if they would charge by the 'dish'. Or even easier would be if they would just have a hot and a cold lunch option. 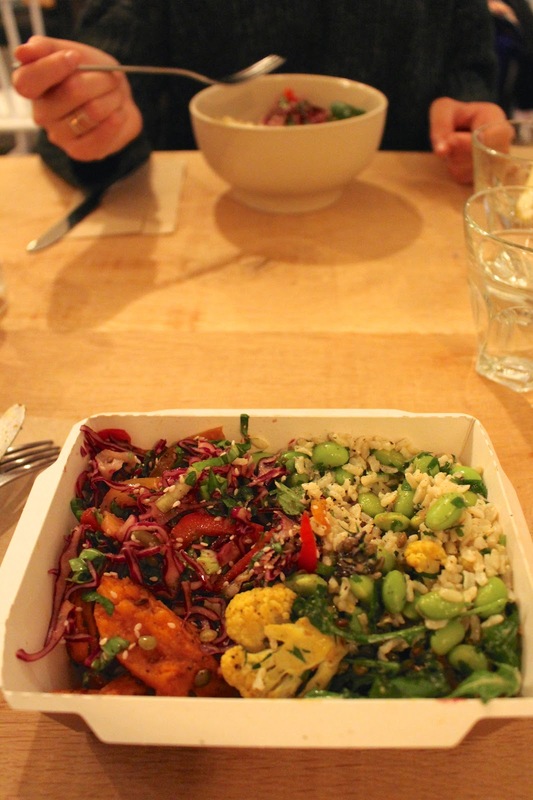 Or just one 'bowl' with both hot and cold food, like at my favourite vegan place ever. The less options, the better in my opinion! I chose the Mae bowl so got to choose 4 cold "salads". I chose the edamame brown rice, raw slaw, sweet maple potatoes and turmeric cauliflower. A perfect mix for a filling lunch! If you want it lighter you can swap one of the salads for organic greens (left below). After paying for our lunch, we headed downstairs to enjoy our lunch in peace & quiet. 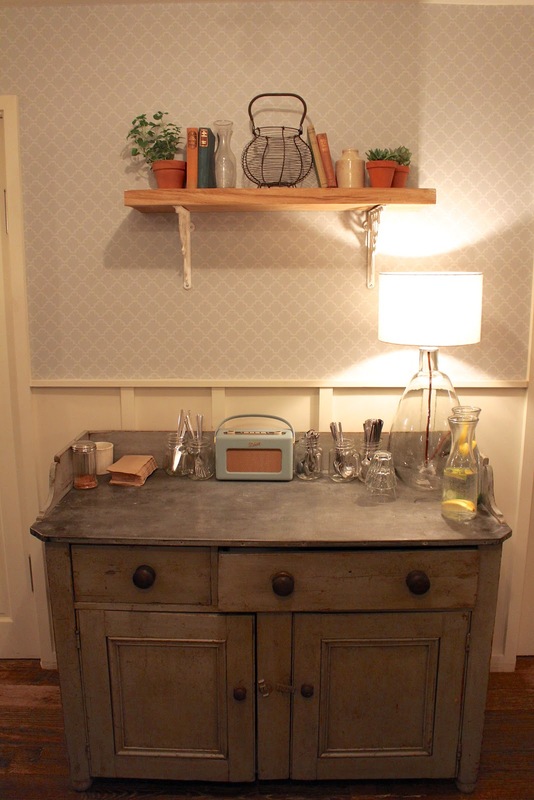 The downstairs area is all pastel blue and really cosy. You can notice that Ella & Matthew put a lot of work into their deli! I liked the crunchy cabbage salad best because it was both colourful and flavourful. The sweet potatoes were good too! Overall, it was a really yummy lunch. It really tasted like it was homemade with care! After our healthy bowls we felt like something chocolate-y so we shared a pecan brownie. How could we resist? The brownies were super tasty but a little bit more dry than regular brownies. You can taste that they're 'healthy' brownies, and I think they were made with dates and cacao, probably based on Ella's raw brownie recipe. Next to salads and sweets, there are also smoothies and pressed juices. From 7.30 am until 11 there are plenty of breakfast options such as porridge, chia pudding, Coyo, açaí bowl or bircher muesli with a range of toppings you can choose from. Sounds like the perfect brekky before work! 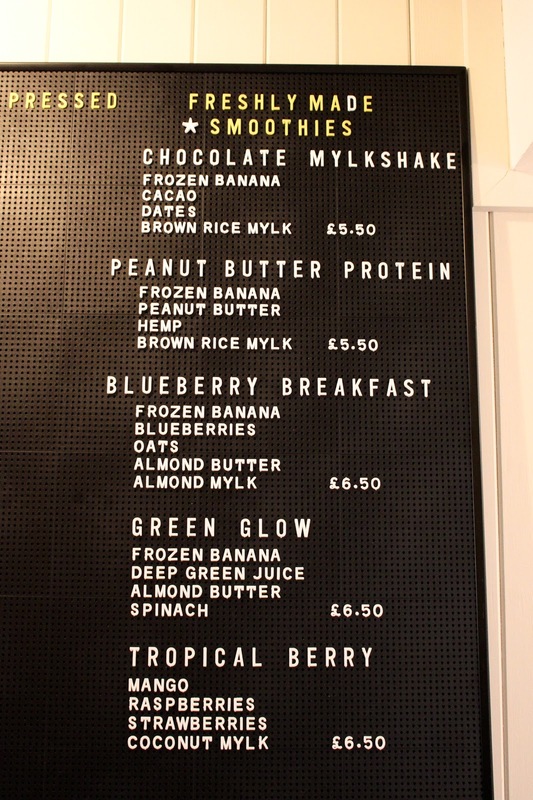 If I still lived in Marylebone, I'd definitely come here to treat myself to a healthy breakfast, lunch or snack! I do love how uncomplicated and no-nonsense the menu is. It simply states what there is, without too many adjectives like superfood, healthy, vegan, gluten-free, dairy-free... I think Ella wants to make nutritious & fresh food accessible to everyone, not only with health lovers who are familiar with all the foodie-jargon out there. There are also some animal-protein add-on options like chicken & salmon but these are quite pricey and the veggies on their own don't need anything else! 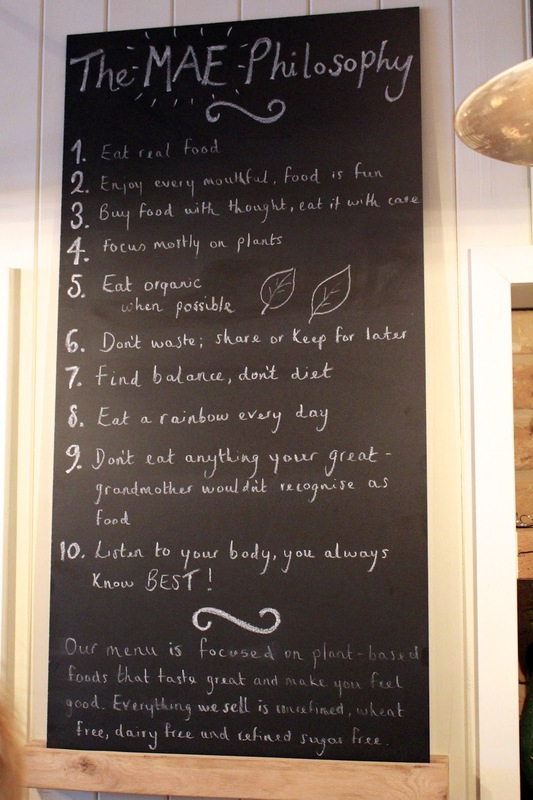 On a big board behind the counter you can the 10 keys to the Mae Philosophy, which is such a cute touch. I definitely support this whole philosophy, and I like that Ella & Matthew want to share this with their customers. The Mae Deli is not just another cute deli, but a place where you can learn what good food is, and that you don't need any animal products to prepare a great-tasting meal or snack! Although the service was quite chaotic and there seemed to be too much staff running around, Ella was really accommodating and tried to chat with every single customer. Opening up a new place takes a lot of work and energy, so I can only admire everyone at the Mae Deli for running such a welcoming little deli. In my opinion, the prices are quite steep for what you get, so I wouldn't come here daily if I lived in London, as much as I'd like to. But then again I don't think I'm used to London prices anymore after living in Amsterdam and Munich (where I paid €8 for something similar). I think that the Mae Deli can only improve since they'll be receiving a lot of customers over the next few months. Overall, I think that the Mae Deli is a fantastic new addition to the London food scene and I can recommend everyone to pay Ella & Matthew a visit!